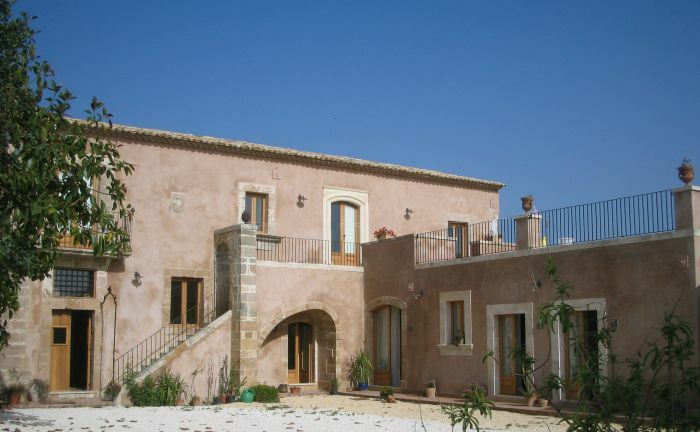 La Frescura farm holiday is created in an ancient country house dating back to the 17th century. The two-story building is immersed in nature and surrounded by twelve hectares of citrus groves. 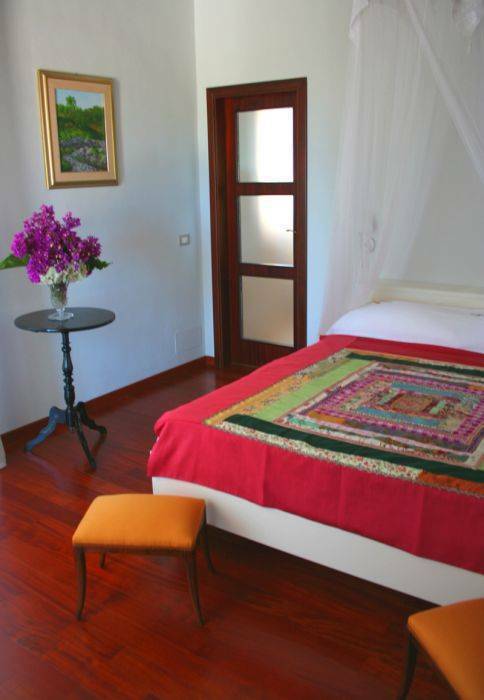 The typical Sicilian masseria develops around a courtyard with direct access to the accommodations. 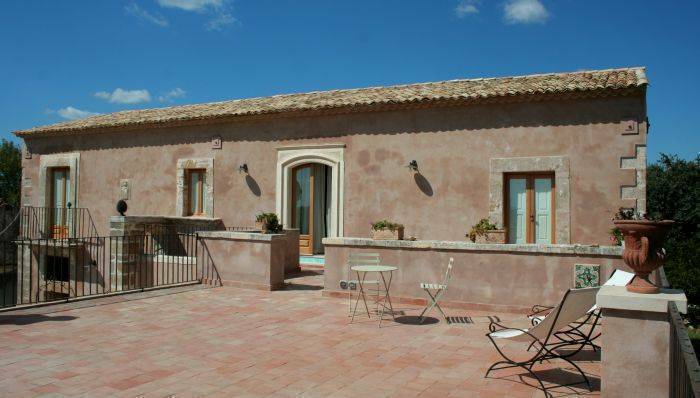 Just 6km from Siracusa city, near by the highway, easily accessible the airport, Catania and all the east cost of Sicily! We offer a naturalistic guide to organize tours (trekking, canyoning, free climbing, mountain bike, kayak) in the most beautiful Natural Reserve of Sicily. 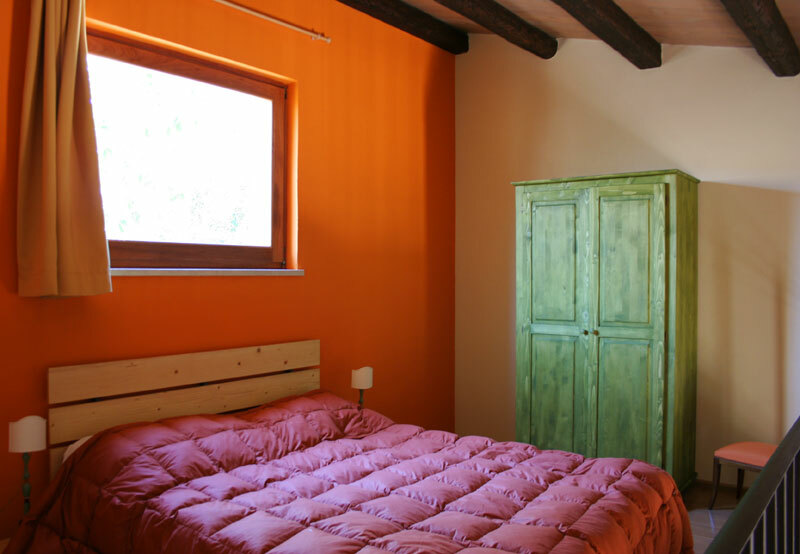 In La Frescura farm holiday You can find different kind of accommodation, (suite self catering, superior suite, room, loft), all of them have double beds, bathroom, kitchenette, air conditioning, in an ambiance of a simple and minimal country style, with a flair for comfort. 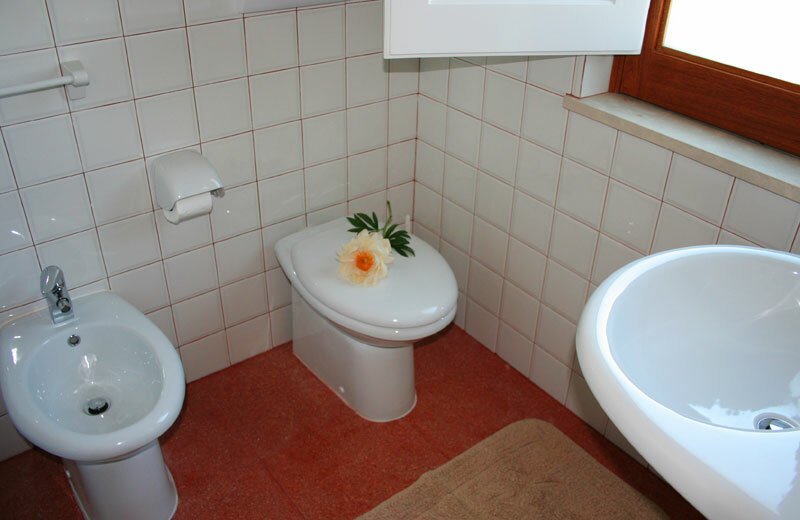 Flat with view, consists of double bedroom, bathroom, kitchen with dining area. 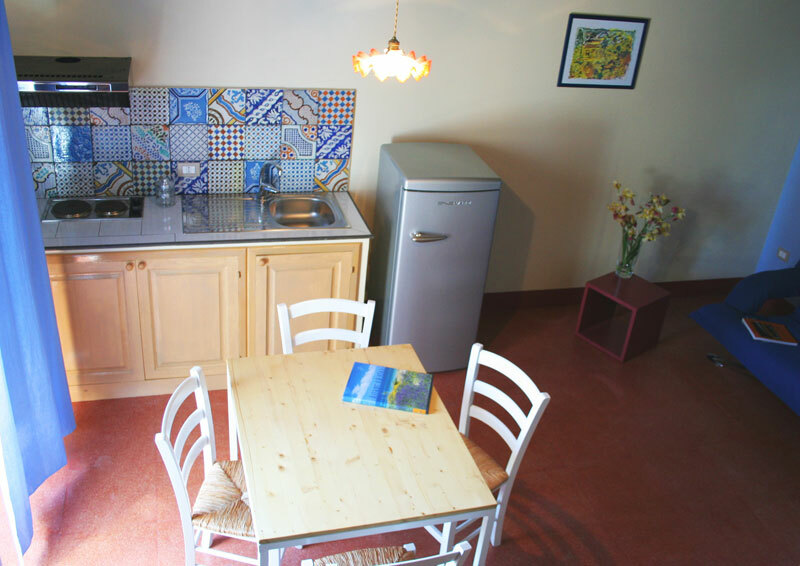 Apartment with sleeping loft, double bed, living room with kitchen corner and sofa bed (three-quarter bed), bathroom, veranda. Many interesting historical sites are located just a few kilometers from La Frescura farm holiday: the archaeological park of Siracusa and its historical center; Ortigia (6km); the Eurialo castle (2km). Various natural reserves are also easily accessible: River Ciane (1. 5 km), Cava Grande of Cassibile (13km) and Pantalica, recently declared part of the Unesco heritage (30km). On the sea front, the beautiful beaches of Vendicari are 35km away; at a shorter distance, only 10 km away, the marine reserve of Plemmirio. Alternatively you can leave the credit card number, name and espiration date. 3 day before the arrival date the penalty fee you must pay will be the amount of the first night. From the highway (Catania airport): Take highway SS114/E45 towards Siracusa, exit Hwy SS 124 Floridia/Solarino at the 152th km. On SS 124 follow the Floridia direction. Entrance to the farm is 2 km on your right.